With KeyHealth medical aid options, what you see is what you get. You can expect straightforward, simple medical aid that doesn’t come with extra bonuses and fringe benefits. The medical aid scheme goes backs to basics, and puts transparency right at its core. In all there are five KeyHealth medical aid options as well as three free additional benefits. 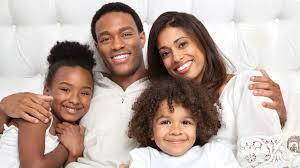 The Essence Option is the least expensive medical plan of the KeyHealth medical aid options. It offers disaster and major medical cover for expenses for in-hospital costs when patients are there for accident or illness. All private hospitals costs are unlimited and paid in full, and because most accidents are regarded as prescribed minimum benefits (PMBs), these are also covered in full. Conditions apply to specialist in-hospital services and both MRI and CT scans. There is some oncology cover. In addition to hospital cover, there is cover for day-to-day medication as well as unlimited dentistry (with certain conditions), and unlimited medication for the 26 conditions on the Chronic Disease List. There is cover for certain supplementary services including all emergency transport by Netcare 911 ambulances as well as endoscopic procedures (colonscopy and gastroscopy). There are some procedures that are not covered in terms of hospital benefits, including back surgery and joint replacements. Specialised dentistry and prosthesis benefits are also excluded. The Equilibrium Option is very similar to the Essence Option only it has more to offer. It also costs a little more. The exclusions mentioned above also apply to Equilibirum. The Silver Option takes the middle road of the five KeyHealth medical aid options, with even more cover, particularly in terms of day-to-day, out-of-hospital medical expenses. Also, in addition to hospital cover, specialist services, oncology and scans, there is cover for rehab and wound care – with conditions and a Rand limit. Exclusions are much the same as for the previous two options. The Gold Option adds punch to the packages, and keeps getting better. It is also one of only two KeyHealth medical aid options that does not have exclusions, including specialised dental treatment. The Platinum Option is the most expensive of the five KeyHealth medical aid options, but it is also by far the most comprehensive. For instance, there is abundant cover for organ transplants and for dialysis (though the latter does have conditions). In addition to cover for listed chronic diseases, there is also a certain amount of cover for “extra chronic conditions” in the Platinum medical plan. The additional free benefits are available with all the KeyHealth medical aid options, adding value to all five of the medical plans. However, members do need to qualify and/or register for these free additional benefits. Health Booster offers a number of screening tests and health assessments. 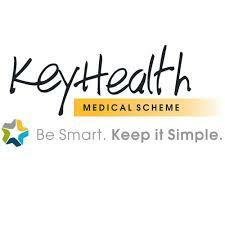 The Smart Baby Program is also offered with all the KeyHealth medical aid options. Benefits include a generous gift voucher, authoritative book about babies and childcare, and access to the Smart Baby Facebook group. And it isn’t just young children who benefit. Easy-ER is available to “children” up to the age of 27, presuming as long as they are genuine dependants.